With beautiful, highly-durable, and functional Amish storage sheds from Beiler’s Structures, Southern Maryland residents can make a smart investment by adding one of our custom built storage sheds to their property. 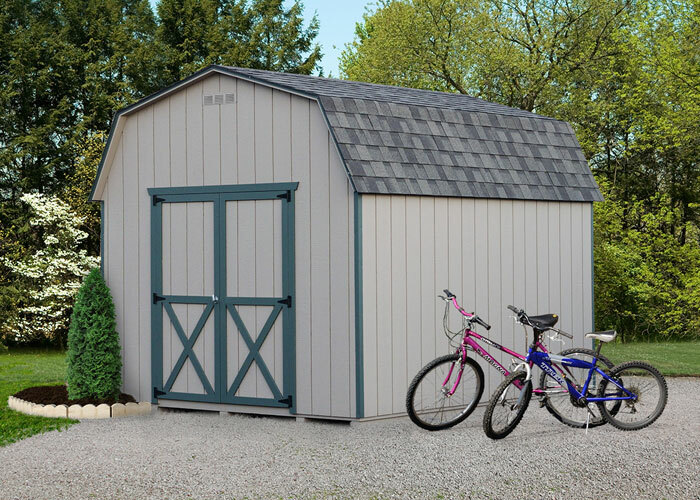 Whether you need storage space for bicycles, garden supplies, lawn equipment, or larger items, you’ll find that our sheds are affordable and perfect for your needs. We also have spacious and aesthetically pleasing garages and other outdoor structures available for your consideration. Because of the way our Amish storage sheds are designed and constructed, they’ll be a welcome addition to Southern Maryland properties for years to come. What also makes our sheds worthy of your consideration is the attention that goes into every detail of the design, construction, delivery, and installation process. Our goal is to provide outdoor structures that fit just as perfectly within smaller yards as they do in more spacious exteriors. Garden Quaker sheds from Beiler’s Structures, for example, have a cozy design that include a higher front wall and offset roof. 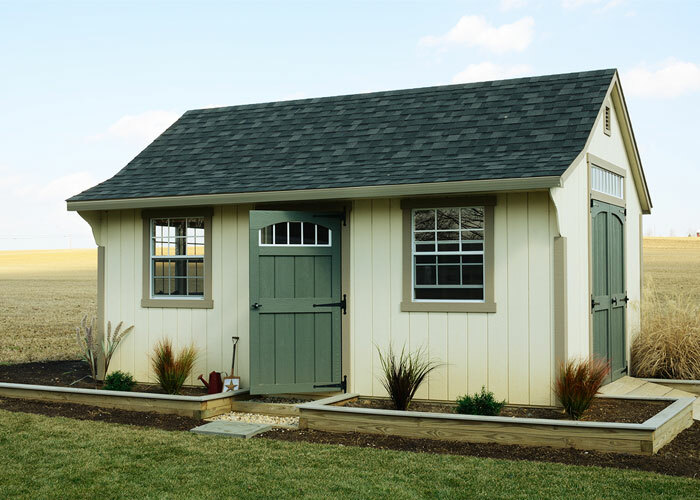 If you prefer classic roof line instead, you’ll love our Garden A-Frame sheds, which have an attractive trim, traditional doors, and durable, weathered shingles. If extra storage space is needed, you’ll want to consider one of our Backyard Garages or a large Elite Dutch shed. 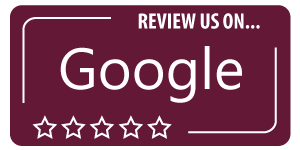 No matter which one of our sheds for sale you may prefer, you can expect quality craftsmanship fair prices. Our highly versatile and equally attractive tool sheds and storage sheds include Garden A-Frame and Garden Quaker designs. These classic Amish storage sheds can be customized with richly colored Red Z shutters, transom windows that allow extra light in, and Homestead overhead doors with glass. 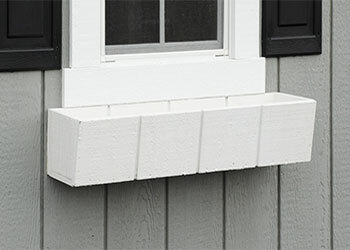 Garden vents and a ramp can easily make one of our Quaker designs an ideal choice for your storage needs. Thanks to the variety with colors and textures, you’ll easily find a tool or storage shed that matches your home’s existing style. Southern Maryland homeowners can also select from our Backyard Shed Series that feature attractive styling and plenty of usable storage space. 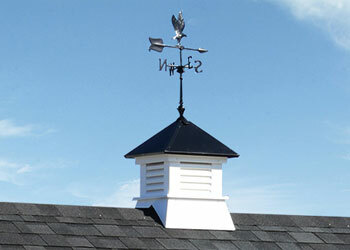 If you prefer to bring some traditional New England charm to your backyard, consider our Backyard Cape model. 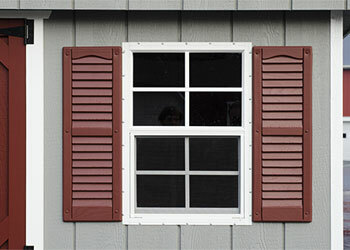 Add the deluxe trim package to it if you prefer some extra architectural details. 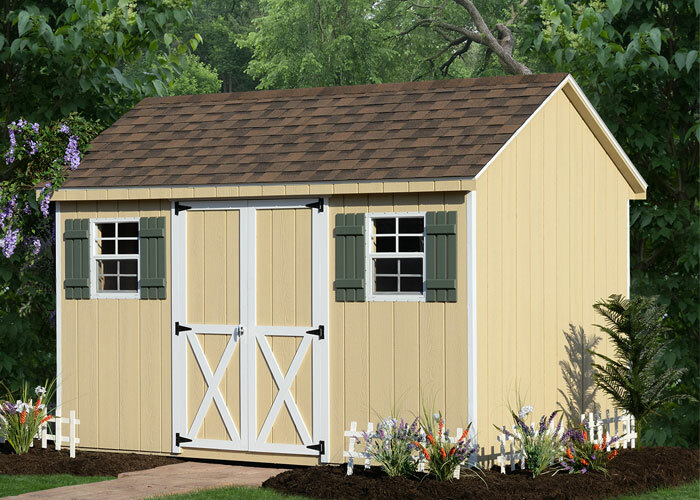 If you want a classic barn-style look, you’ll love our all-purpose Backyard Mini Barns, which include a roof cantilever over the doors. If more headroom is at the top of your list of must-have features, turn your attention towards one of our Backyard Dutch models, which can become even more spacious if you opt for an extra 3-inches of width! Carriage and Quaker designs are also available. Spice up your backyard by exploring your options with Amish sheds for sale from our Elite series. 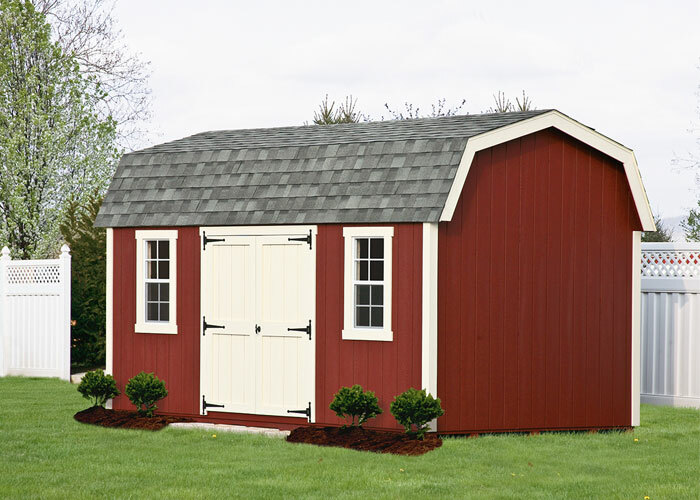 These impressive and practice storage sheds can work well on any Southern Maryland property. These sheds stand out because of added touches such as wider trim, larger windows, more prominent overhangs, and larger hinges. The possibilities with these – or any of other sheds – are almost limitless. With an Elite A-Frame model, for instance, you can set up a modest garden workshop or keep your lawn equipment and garden supplies neatly out of sight but still within easy reach. Because of its unique roof and spacious interiors, one of our exquisitely crafted Elite Cape models can be used to store everything from vehicles to seasonal clothing, tools, or equipment. Quaker and Dutch are also available with this series. 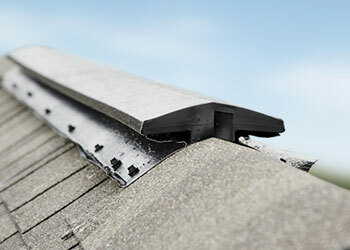 At Beiler’s Structures, we pride ourselves on giving our customers choices. While all of our Amish sheds for sale have standard features that include shingled roofs, decorative shutters available in sizes ranging from 23″ to 36″, and a durable set of double doors, you’ll be able to customize your preferred outdoor structure with any of the following options: multiple paint colors, vinyl trim and siding colors in both lighter and darker hues, 30 year architectural shingles in varying colors and textures, weathervanes, interior shelving, flower boxes, ramps and more. Add value, function, and style to your Southern Maryland outdoor spaces by exploring the Amish sheds for sale from Beiler’s Structures. Contact us today if you need some help with the selection process. Our friendly staff can also answer any questions you may have and walk you through the order and delivery process.